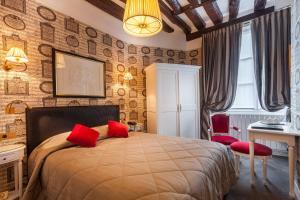 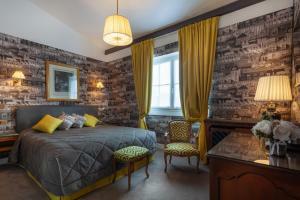 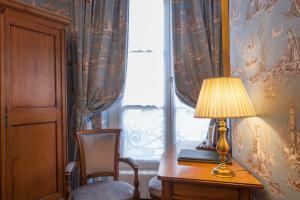 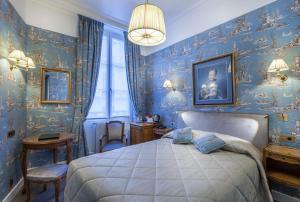 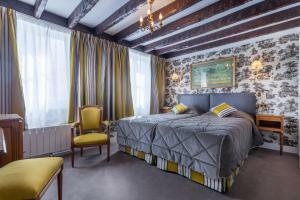 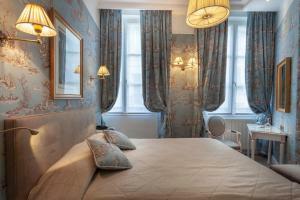 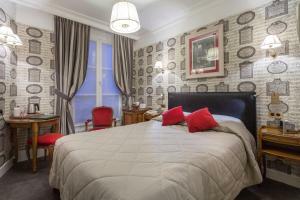 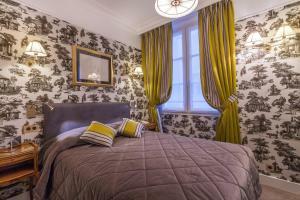 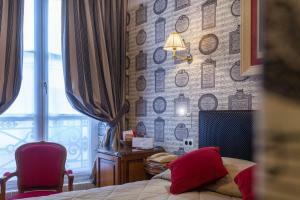 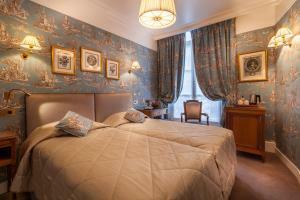 This boutique hotel welcomes you in the heart of the historic district of Saint-Germain des Prés, a 15-minute walk from the Louvre Museum, and 12 minutes on foot from the Notre Dame and Saint-Michel district. 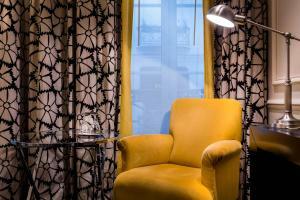 The hotel offers a lounge with armchairs and exposed stone walls. 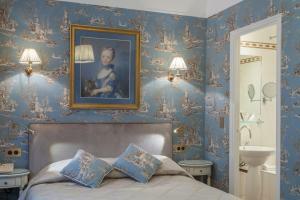 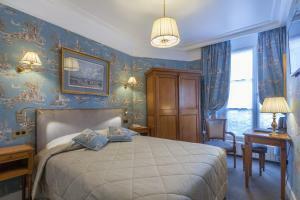 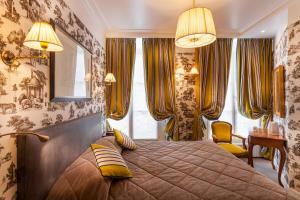 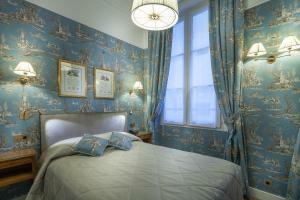 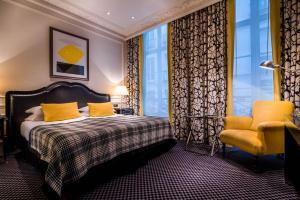 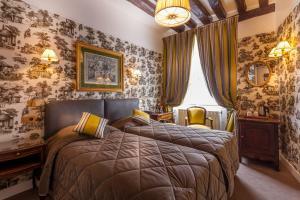 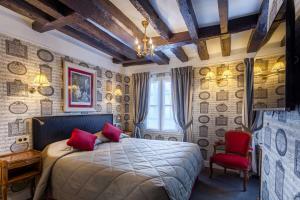 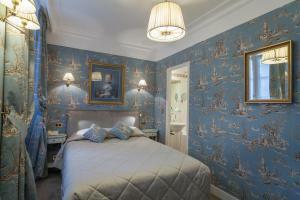 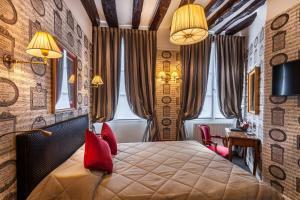 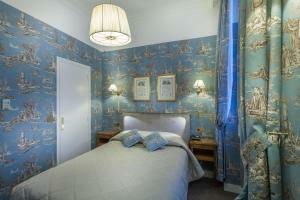 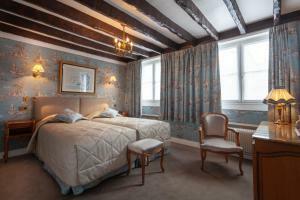 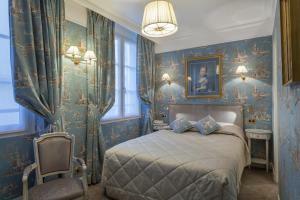 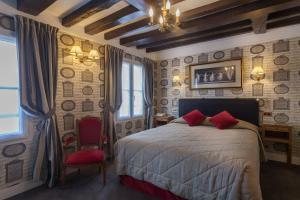 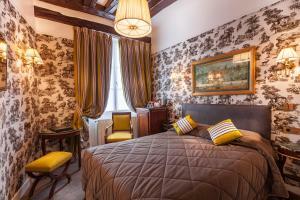 Decorated with Pierre Frey, Manuel Canovas and Rubelli fabrics, the rooms are unique and each boasts its own style. 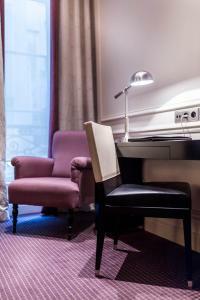 A buffet breakfast is served each morning by Grand Hôtel de L'Univers Saint-Germain. 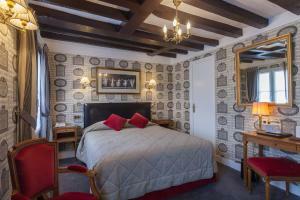 It can be taken in the breakfast room featuring a vaulted ceiling. 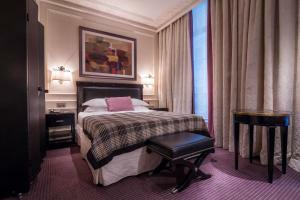 In between the metro stations of Odeon and Mabillon, both 225 metres away, this hotel is located a 6-minute walk from the Luxembourg Garden and the Odeon Theatre. 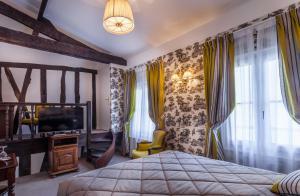 This air-conditioned room offers a minibar, a private bathroom and a TV with satellite channels. 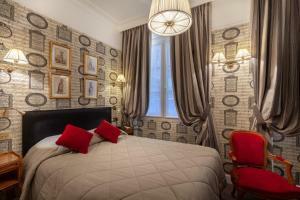 Rate: € 139.00 ... € 269.00; select dates below to get current rates. 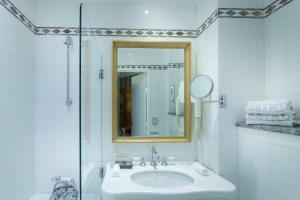 This air-conditioned room is more spacious and offers satellite TV, a minibar and a private bathroom. 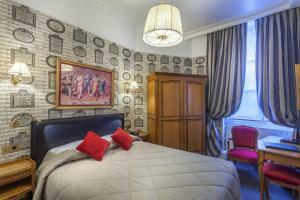 Rate: € 139.00 ... € 264.00; select dates below to get current rates. 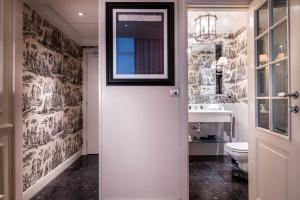 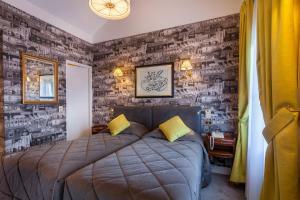 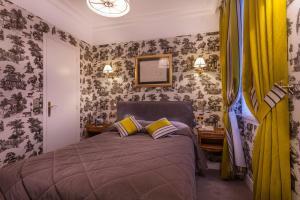 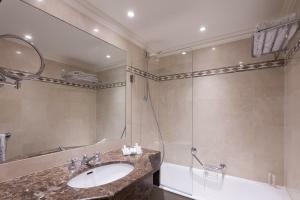 This double room features a soundproofing, electric kettle and bathrobe.